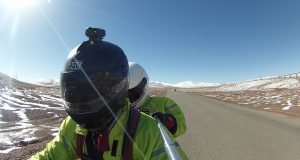 For those of you who have been following along with our daily trip diary, you may have noticed that we’ve fallen a bit behind. 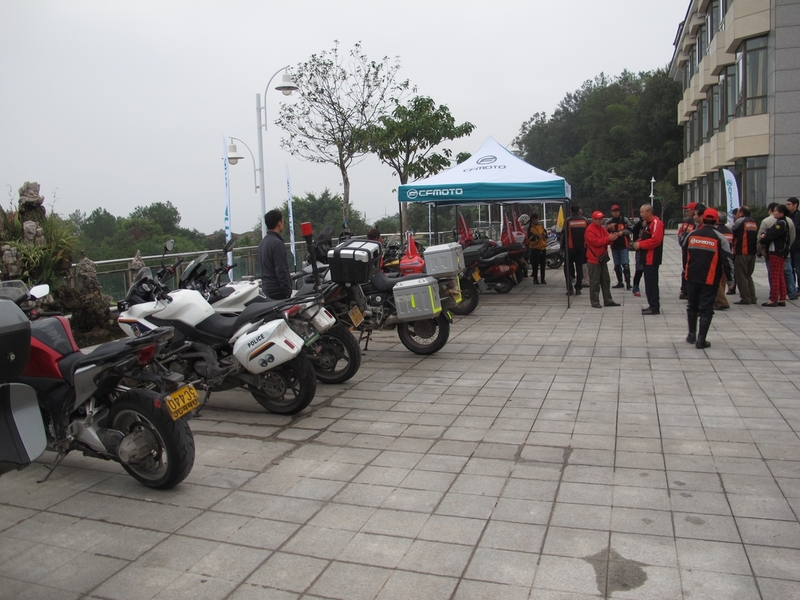 Just a quick fast forward, we are currently on day 94 of The Great Ride of China and only just a couple days ago passed the 20,000km (12,500miles) milestone! 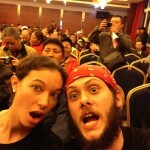 We also just saw our numbers 5,6, and 7 giant Buddha statues of the trip (a stat we are now tracking on the command center page). 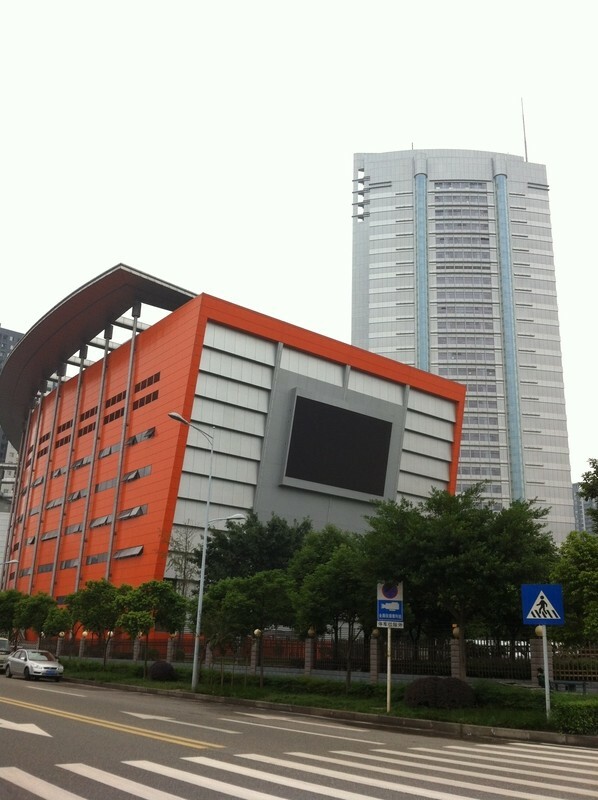 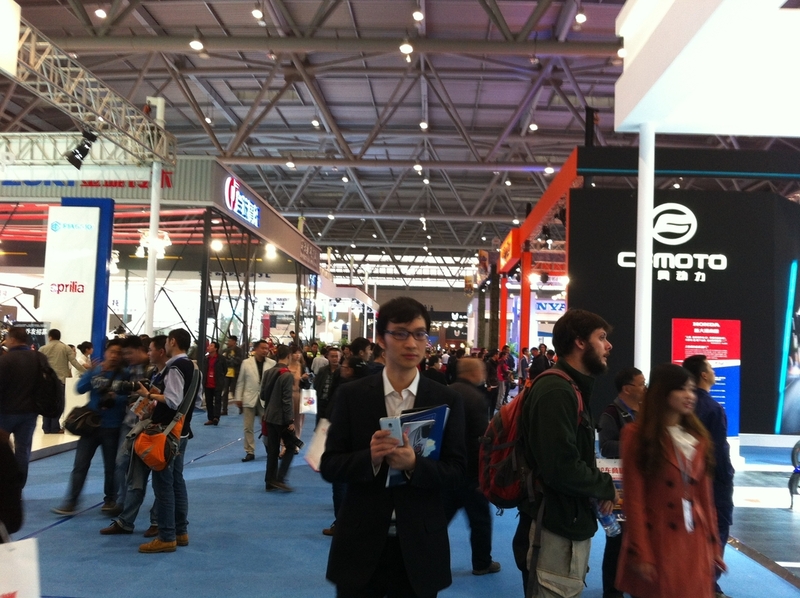 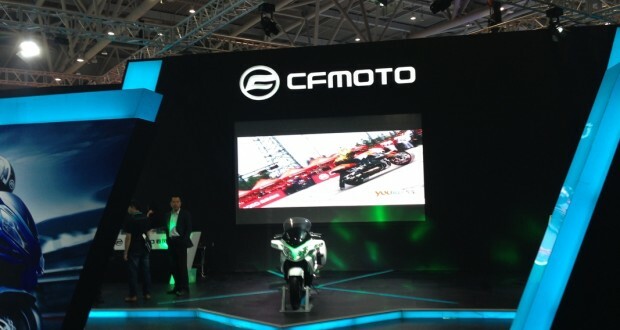 We had been making some good progress on catching the site up to our current position, however this past week we got caught up in participating in the 12th Annual CIMA International Motorcycle Exhibition with our partners CFMoto in Chongqing, the motorcycle manufacturing capital of the world and the place where 60-70% of all motorcycles in China are produced. It was a really fun, but tiring experience. 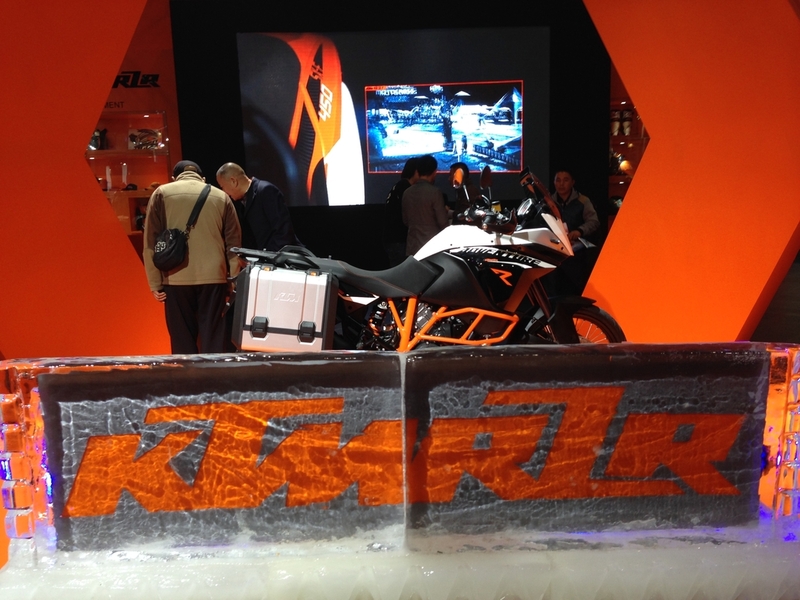 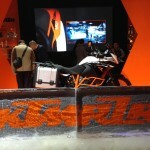 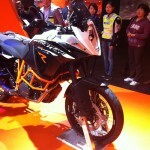 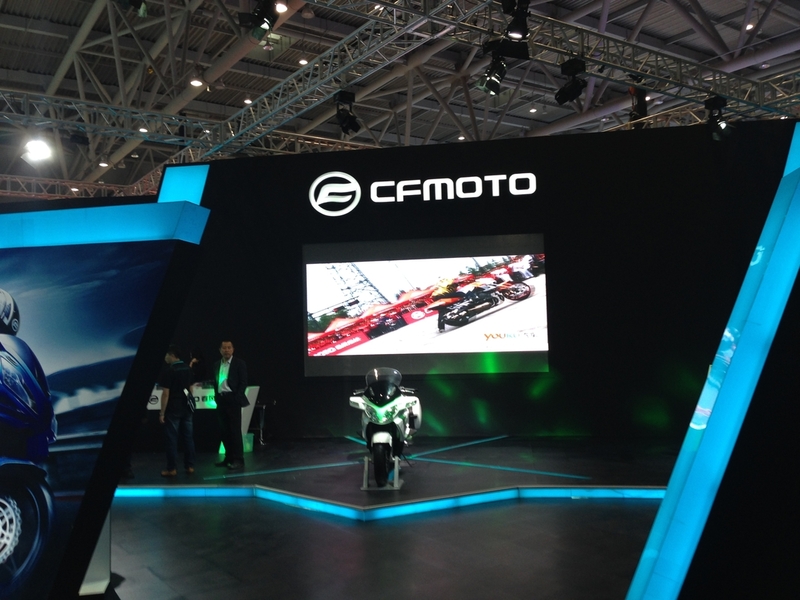 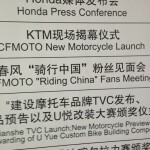 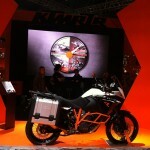 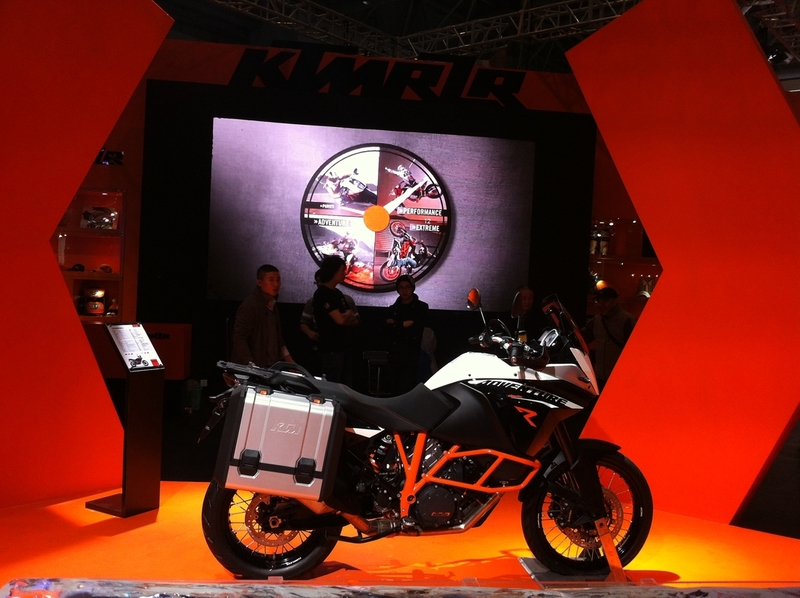 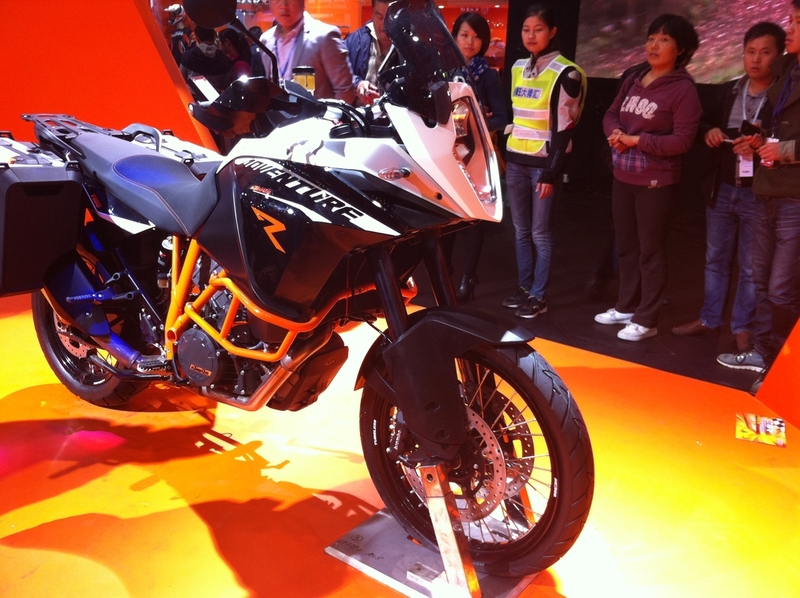 At the opening day of the show, CFMoto officially announced their partnership with the Austrian motorcycle company KTM, big news as this meant the popular dual sport and racing brand would be now be official starting to sell in China. 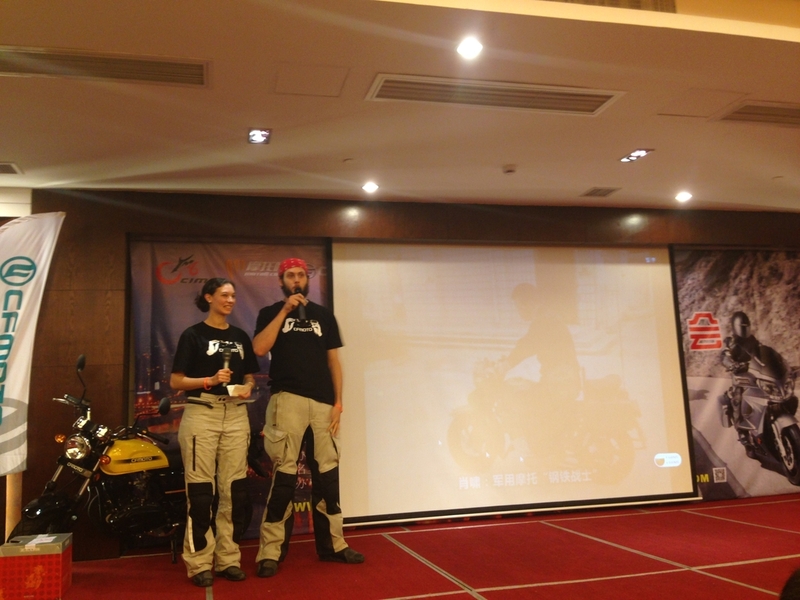 After that Amy and I presented about our trip on the CFMoto stage and later that evening we participated in an event hosted by CFMoto and Motorbar (the biggest motorcycle online forum in China) where we spoke in front of a crowd of about 400 Chinese bikers from all around China about our trip as part of a larger show that included a comedian, dancers, raffle giveaways, and more. 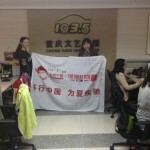 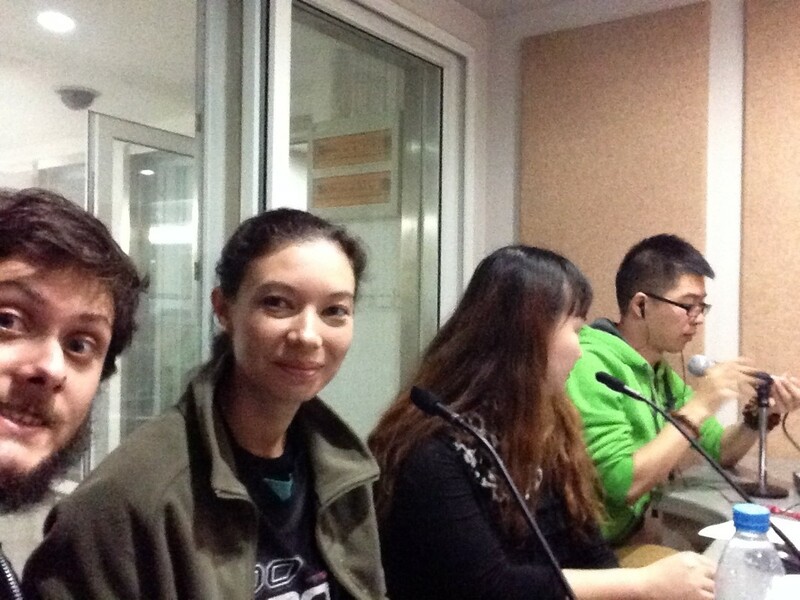 We also had the opportunity to talk a little more in depth about our trip, what we are doing, and the charity we’re doing it for on a radio interview with a local Chongqing station. 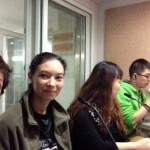 All good fun and definitely good practice for our Chinese! 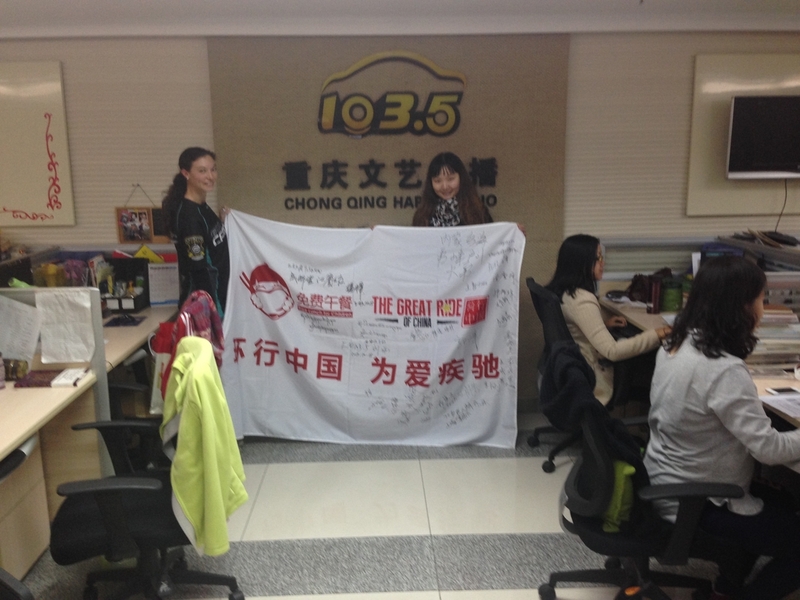 For anyone who is around the Chongqing area on Tuesday, October 22nd, tune in to 103.5FM from between 9-10pm for our interview. 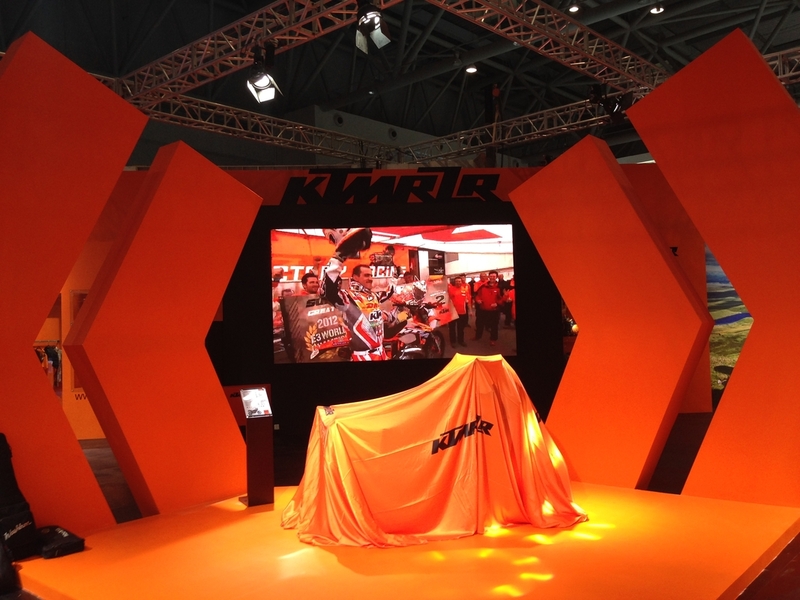 We will also be getting an mp3 of the recording so if you’d like to be notified of that, we’ll probably be announcing that on our Facebook page as soon as that is ready. 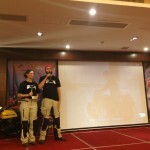 The video intro for our presentation will also be posted there as well as our YouTube page if you’re interested in seeing that. 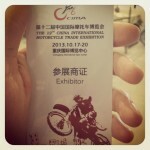 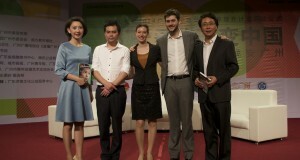 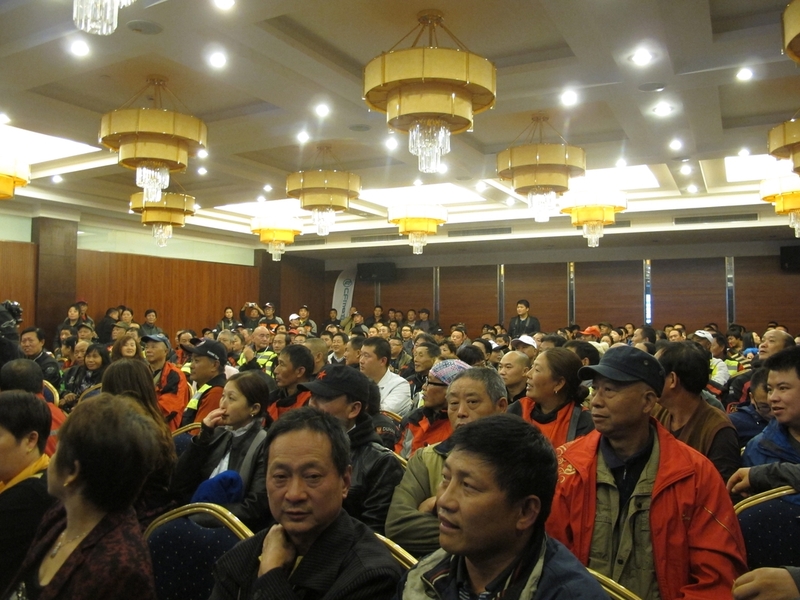 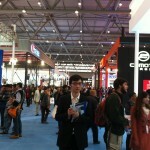 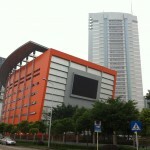 In the meantime, here are some pictures of the show, the events, and the exhibition. 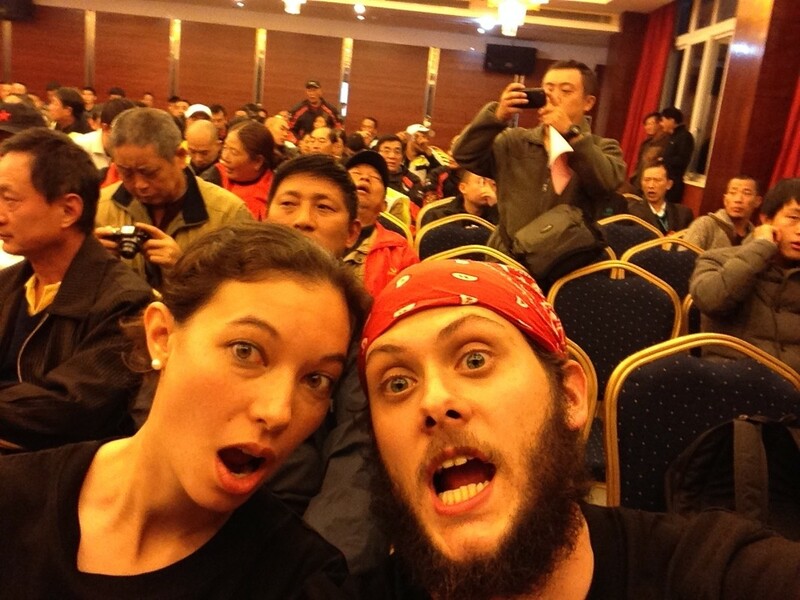 If any readers happened to be there too, let us know in the comments below! 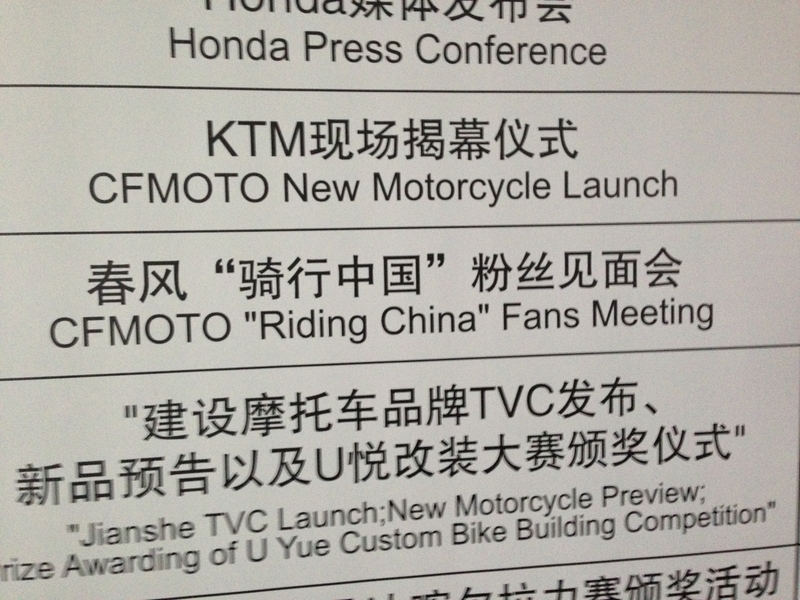 Got the English name of our trip wrong but cool to see us on the official event program! The festivities starting to get going at the event. 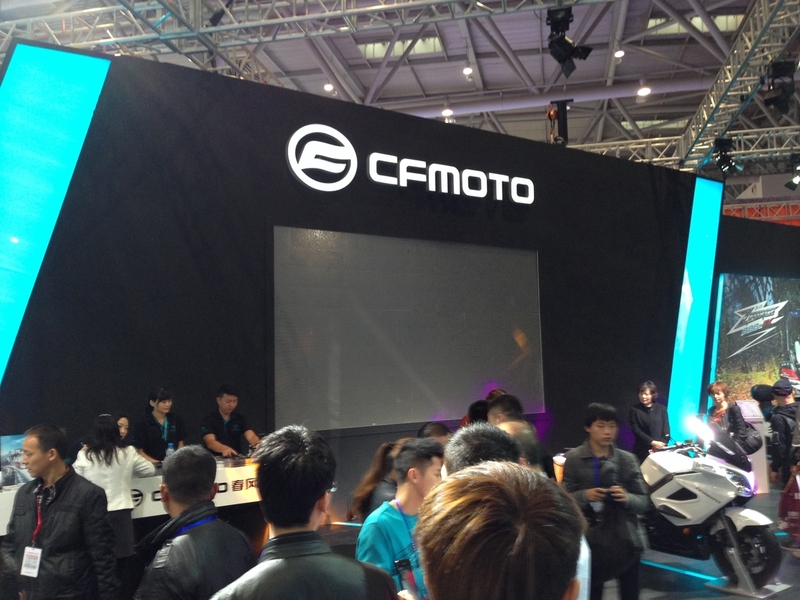 You can see the CFMoto stage right from the entrance! 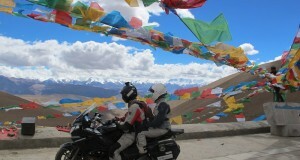 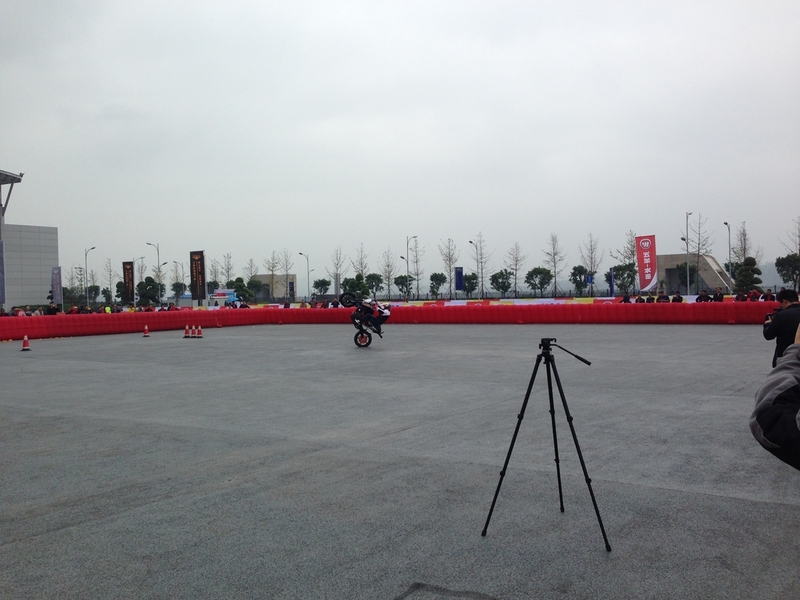 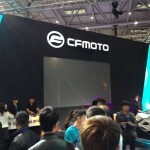 Huhai, CFMoto’s trick motorcyclist. 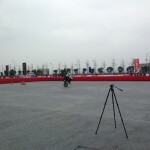 This guy has got some moves! 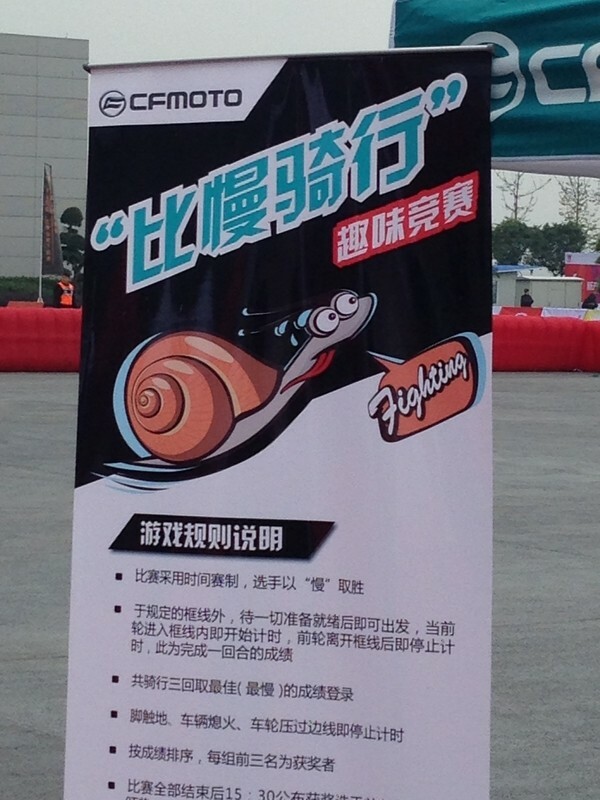 The fighting snail! 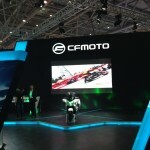 CFMoto had a competition for who could ride the motorcycles the SLOWEST from one point to the other. 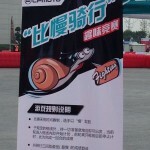 Winners got their 250cc mini “Feifei” motorcycle plus gas money! 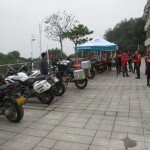 Large variety of bikes ridden in for the MotorBar event. 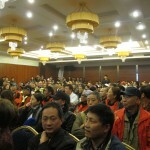 Full house for the evening event!